The Denver Technology Partners set out to make the 2014 Denver Biz Tech Expo — an event that connects business decision makers with IT solutions providers — bigger and better. This year’s expo, “Integration, Mobility, Security … Get in front of what’s next,” on Oct. 9 at Wings Over the Rockies Air & Space Museum in Denver has an agenda filled with can’t-miss features sure to wow the record number of registrants. 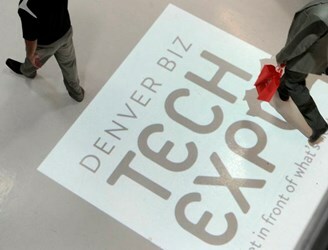 The Denver Biz Tech Expo is presented by Denver Technology Partners, a group of technology services providers with a unique partnership and the goal of helping their clients and partners successfully manage and grow their businesses. They decided Denver needed a good technology event, and what started as an idea to bring together the group’s members and their customers’ evolved into an opportunity for both local and national technology companies providing hardware, service, and software solutions to connect with small, mid-sized and large business from the region. The expo also includes a mobility panel sponsored by Samsung that will focus on security, mobile device management, bring-your-own-device (BYOD) programs, integration, optimization, procurement, and the consumerization of IT. Panelists are Erik Peterson, Mobile PC Specialist with Samsung; Brent Allshouse, Co-Founder and CFO of Platte River Networks; Bryan Von Axelson, Senior Partner Technology Strategist with Microsoft; Mike Saxby, Vice President of Cellular Optimization; Renee Carroll, Sales Manager for Windstream; and Christopher Landgrebe, Business Sales Executive with T-Mobile. Erik Peterson of Samsung is the panel moderator. Last year’s most attended feature at the expo, the Public Town Hall panel is a forum for businesses to learn from and connect with representatives of government agencies at all levels. This year’s panelists are Dr. Winslow Sargeant, Chief Counsel for Advocacy for the U.S. Small Business Administration; Anthony Knight, acting Associate Commissioner for Innovation Development for the U.S. Patent and Trademark Office; Erik Mitisek, CEO for the Colorado Technology Association; Donna Evans, President and CEO of The Colorado Women’s Chamber of Commerce; and Brandon Rattiner, U.S. Senator Mark Udall’s Denver Area Regional Director. The moderator is John Hart, the Region VIII Advocate for the U.S. Small Business Administration. Both local and global companies are on the list of exhibitors at the expo, showcasing technology hardware, software, and services. David DeCamillis, president of Denver Technology Partners, says exhibitors are encouraged to have their technology on the show floor for people to see and try, and he adds this year Microsoft is “bringing the store,” selling devices on the expo floor.